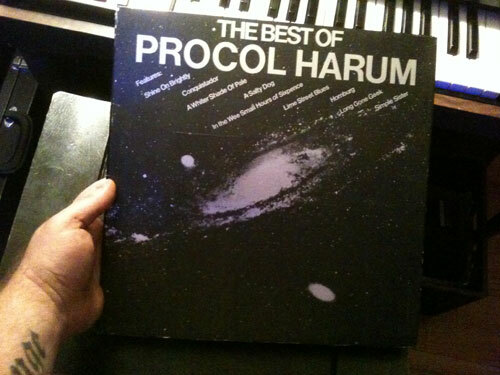 I first heard of Procol Harum when I was about nine or ten. My dad told me about them because they were an influence on Keith Green who was an influence on my dad. I think maybe the first song I heard by them was "Conquistador" over the grocery store PA. I'm a sucker for a sweet string section and I can't help wondering if it's because of songs like "Conquistador". Mostly I just thought is was a weird name for a band and I didn't really get into their music until my late teens. That's when I heard "A Salty Dog" for the first time. It's such a strange and beautifully haunting song. When the drums come in mid phrase in the middle of the first chorus, the music just soars off into oblivion only to be tamed again for a short time for the second verse. Then the orchestra and drums push forward while the reverb on the vocals takes over. There are so many subtleties and dynamics that put the song is a class all it's own. I heard once that the lyrics were inspired by a journal entry from a tallship log. I can't find any info to confirm this but I did find the following quote on ProcolHarum.com. I recently found a copy of The Best Of Procol Harum on vinyl. Listening to it inspired me to start this blog. 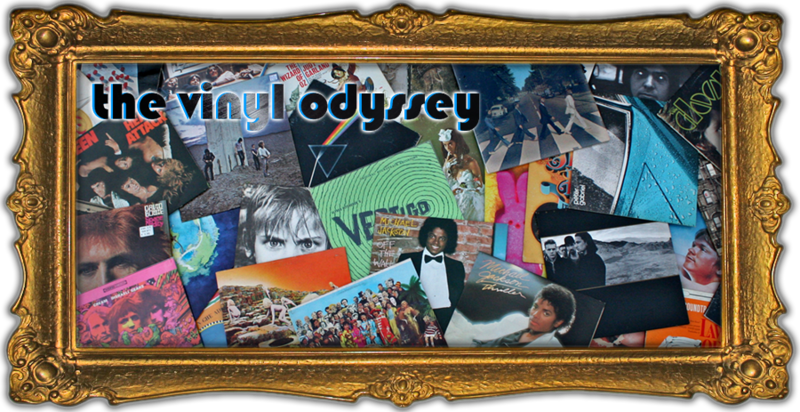 I've been tweeting about all the vinyl I've been listening to lately, but I wanted to say more about the music and art of the records. The compilation has most of songs recognized as hallmarks by the band (at least prior to 1972); "A Whiter Shade Of Pale", "Conquistador (Live)", "In The Wee Small Hours Of Sixpence"and "A Salty Dog", among others. In listening there was one track I was not quite as familiar with. I'd seen a video of them performing "Simple Sister", but I had never listened to the studio version. HOLY F*CK is this song amazing! Right from the start the guitar line gets you. It's a similar sound and chord progression to George Harrison's tour de force "While My Guitar Gently Weeps" and Chicago's blistering "25 or 6 to 4", but it doesn't stay there for long. This song is a layered masterpiece that deserves headphones turned up loud. The genius of the song is in the second half after the breakdown. They continue to add more and more with each cycle but it never feels wrong or over-produced - just epic! Needless to say, I'm gonna wear out whatever grooves are left on this record! Go getcha some and check back soon to see what I listen to next. I am a performing and visual artist. Music is my first love. Since I could make noise I've been obsessed with creating and listening to music. I am in a band called Controlled Fires and a visual and media company called Villains For Hire. I also design under my own name at Sam Wade Media. The bottom line is that I am a passionate about my art and communicating something original to the world.